So, we begin our celebration of Canada150 with an event filled with controversy, intrigue and humble Canadian pride. January features an image of Canada’s greatest aeronautical achievement – the CF-105 jet fighter, or Avro Arrow as it was known. The Arrow was a supersonic jet interceptor developed by A.V. Roe of Canada. Faster and more advanced than any other intercept aircraft, the Arrow was designed to carry air-to-air nuclear-tipped missiles used to destroy Soviet bomb attacks over the Canadian North. Today is Earth Day, a celebration of how much we love this little blue planet, third from the sun. We try every day to make small choices in an effort to lighten our burden on the planet, and it can be really difficult at times to find ways to be environmentally friendly in an inherently environmentally unfriendly industry. A little while ago we were asked to contribute to a post by Boxcar Press about some of our green practices we employ around our shop. First of all, what’s a wayzgoose? It’s a traditional gathering of printers, their apprentices and workers to celebrate the end of the summer printing season. You can learn more about it here. Every year, on the last Saturday in April, printers, book binders, paper makers and other book artists gather at the Grimsby Public Art Gallery to honour this tradition. Sign up for our PomePost newsletter! Did you ever have a pen pal when you were a kid? Well, this is kinda the same. We like to keep in touch with our pals so we’ve made it easy – all you have to do is sign up for our PomePost newsletter and we’ll become what we like to call PomePals. Love is blind – literally, the word “love” is blind debossed on this Valentine’s Day card. We hand-set, hand-inked and hand-printed this with wood type and a wood heart… how sad, to have a heart of wood. Brighten the day of a loved one with this one of a kind letterpressed card. We only printed a handful of these to commemorate this day d’amore. Don’t be fooled, we’re not suggesting you celebrate blind love! We usually sell our prints and artwork unframed, in a protective sleeve. That way, the art lover who bought the piece can have it framed in a way that best suits their design aesthetic. But sometimes people like the ease and convenience of buying a piece of artwork already framed. So we decided to frame ourselves and started offering art lovers the choice of purchasing a selection of our most popular prints framed or unframed. It’s true, it’s part of the ceremony of starting a new year. When you cast away the past, you make room for the future. Turning the page on the first month of a fresh calendar is a declaration you’re ready for a clean start, with a clean slate. On a recent trip to Chicago, we popped into the Chicago APA Wayzgoose. There we met Geri and Matt of Virgin Wood Type, from Rochester, NY. Geri and Matt make brand-spankin’ new wood type (we’ll tell you more about them in another post) and if you know anything about letterpress printers, we are always on the lookout for wood type. It is becoming harder and harder find because of the explosion of DIY crafts that bastardize the letters and turn them into home decor items. 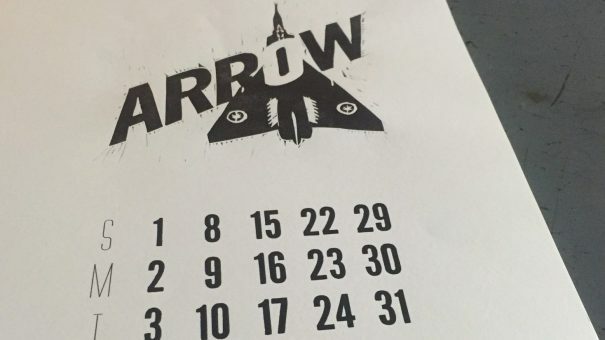 Don’t get us started…Anyway, Gerri and Matt make something called an Calendar font. We had to have one, but we didn’t have any plans to print a calendar. We ordered one and our plans changed. 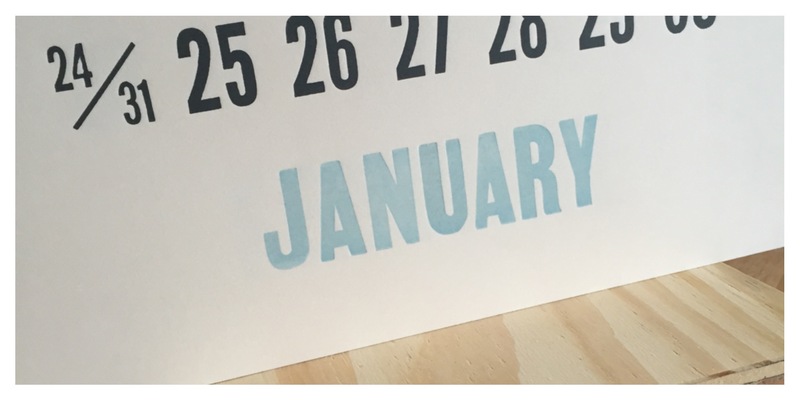 It didn’t leave much time to design and print a 2016 Calendar in time for it to be useful. Firstly we needed to decide on a theme and easily settled on Wildlife of Canada. 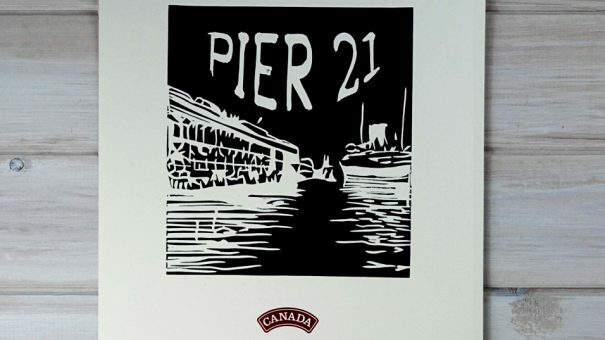 An ideal fit for us, building on our popular line of Canadiana greeting cards. Then we choose the animals and started production. 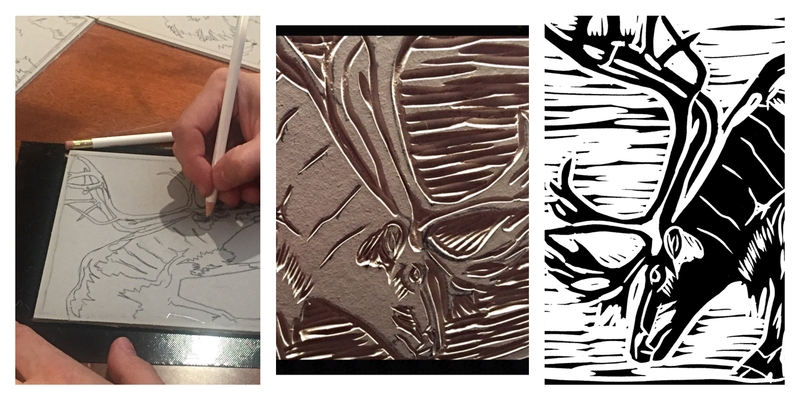 We’ve been thinking about introducing more original lino-cut illustrations into our products, and this turned out to be the perfect opportunity. 2,280 passes through the press and we’re thrilled with the outcome. Each one is signed and an edition of 55. We designed it to give you the option of trimming your favourite image and framing it. If you’re interested in ordering one, you can shop here. And if you do buy it and frame an image, we’d love if you sent us a picture. 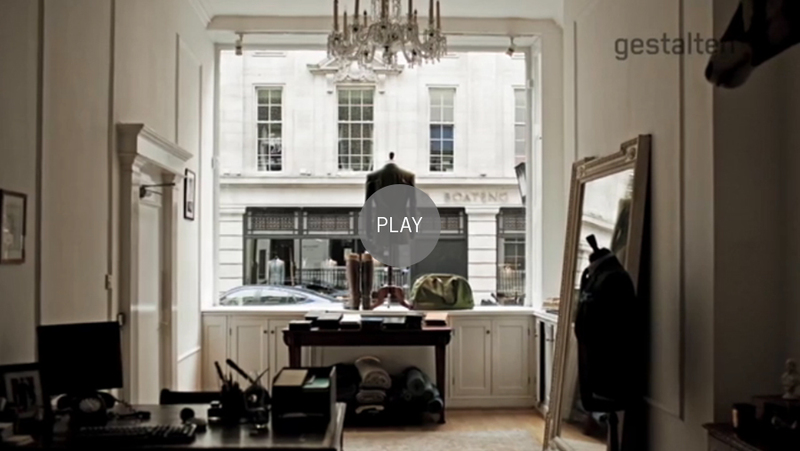 Here’s a four-minute video from Gestalten featuring Patrick Grant, who runs a very popular tailor shop on Seville Row called Norton & Sons. He may be talking about bespoke suits, but he could very well be talking about letterpress. We love what he’s saying around the 2:10 mark and how he really brings it home around 2:50. We could make it faster, we could make it cheaper, but we could never make it better. 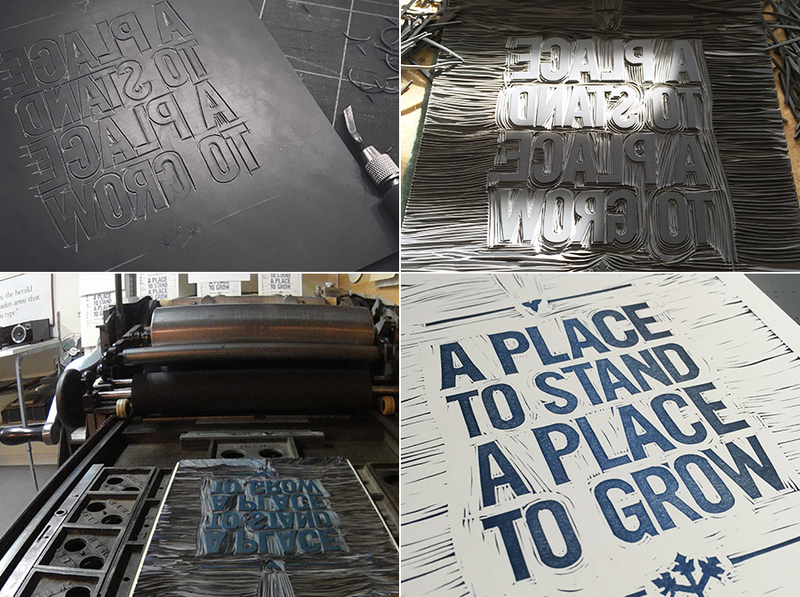 We recently designed, carved and letterpressed our Grimsby Wayzgoose Anthology print. The wonderful thing about doing this piece was that it’s only printed in an edition of 115. Then there’s the added pleasure that our work will be bound into a beautiful leather cover book along side work from other printers at the show – who take as much pride in their craft as we do. It’s a great community to be part of and we can’t wait to get our hands on this year’s book. If you want to see and meet a group of people who still take pride in quality and doing things at a slower pace, please join us at the Wayzgoose in Grimsby on Saturday, April 25.